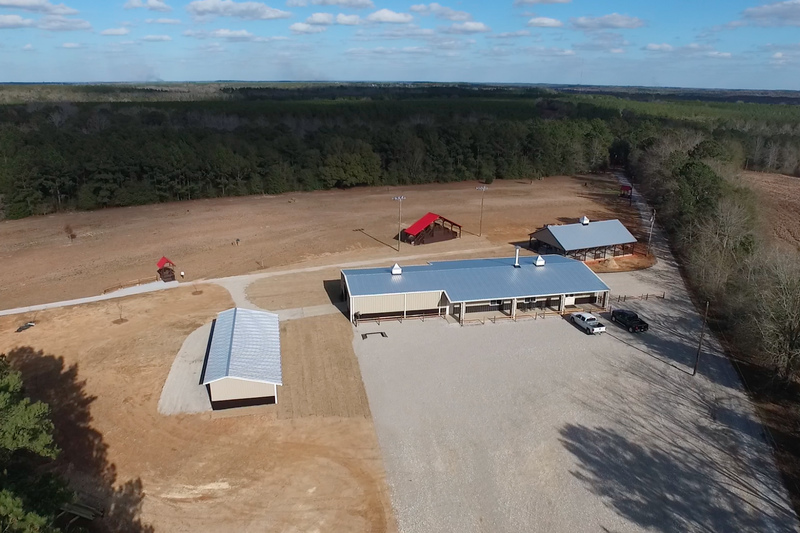 Ravenwood Sporting Clays is located on 43 acres of pristine woodlands in the heart of Southeast Alabama's Wiregrass region. 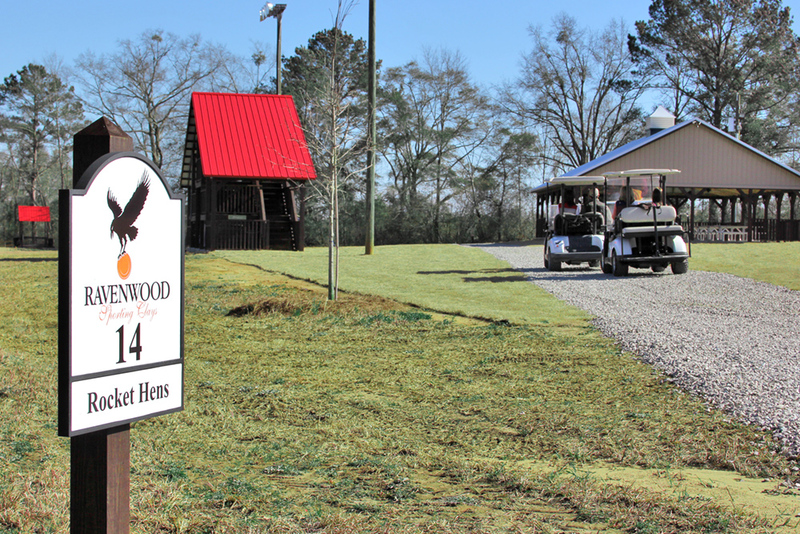 Ravenwood's property runs right along U.S. Highway 431, just a short 15 minute drive from Dothan, Alabama, (a regional hub for shopping, dining, healthcare, and business). 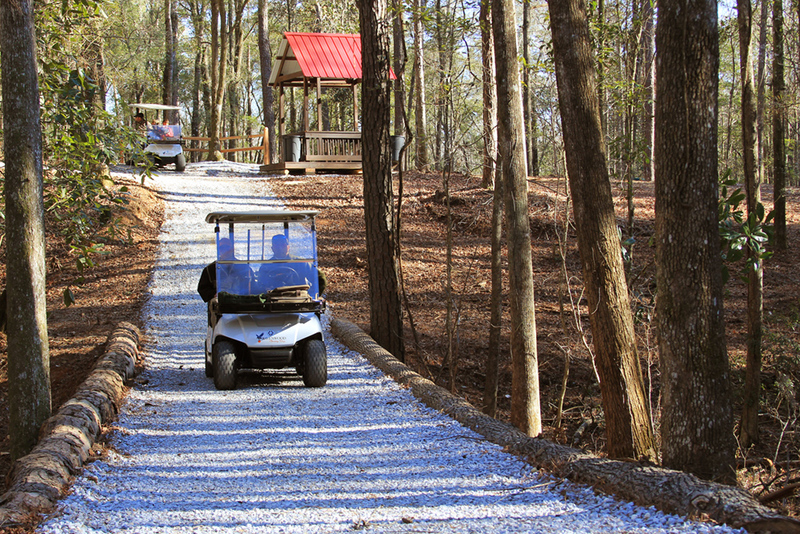 We're also an easy drive from Southwest Georgia and Northwest Florida. 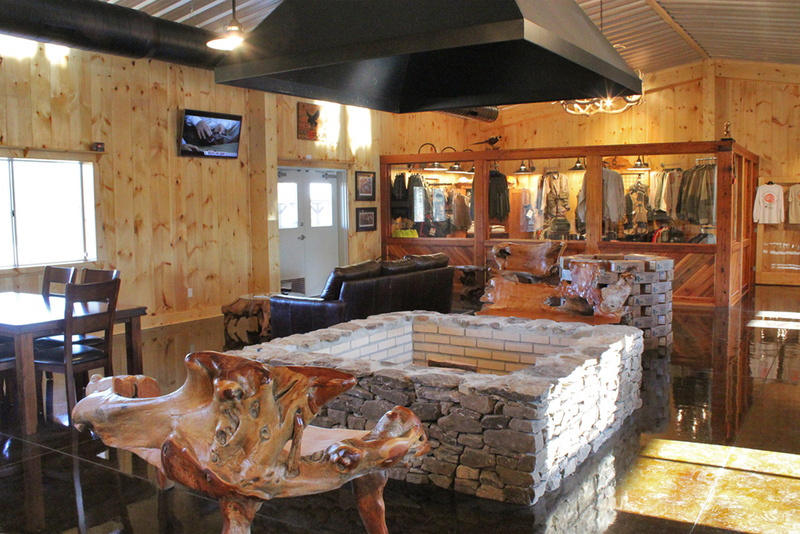 Our newly constructed clubhouse offers a relaxed, welcoming atmosphere to enjoy with friends and family before or after your round on the shooting course. We have big screen TVs, a central fire-pit, free wi-fi, and a semi-commercial kitchen for hosting corporate events, parties, and more. 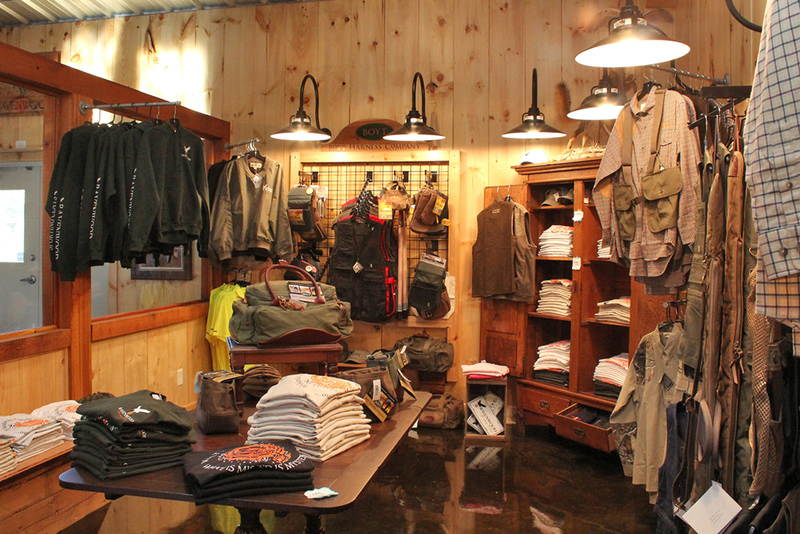 Contact us today about hosting your event at Ravenwood. 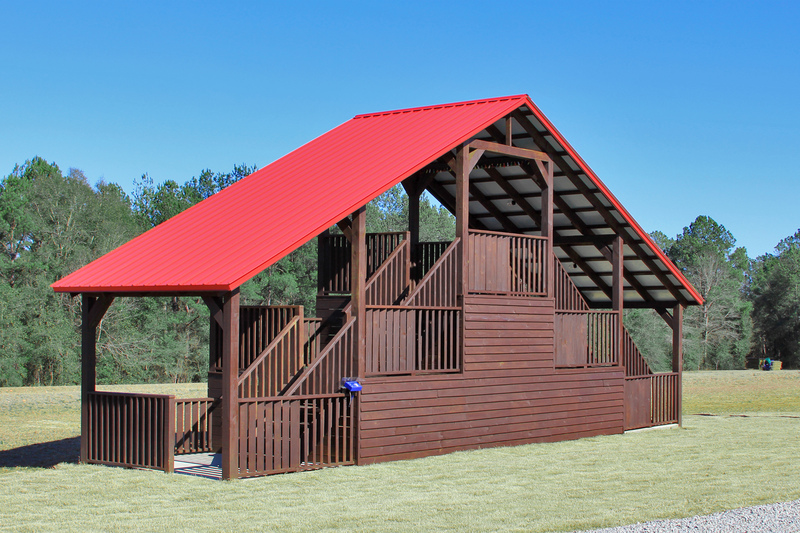 Our practice target range is anchored by a 3-level, 5-station covered wobble deck, perfect for warming up before heading out to the 14-station sporting clays course. 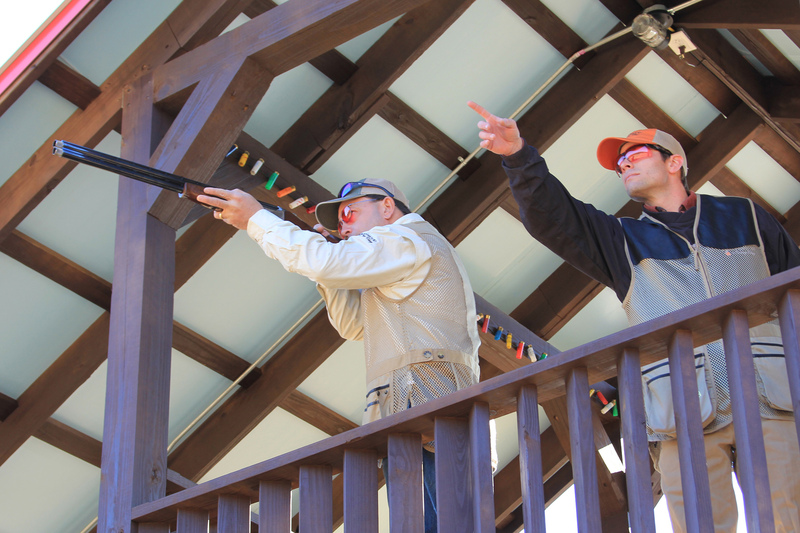 Shooters of all skill levels will find plenty of challenge and fun while honing their skills. 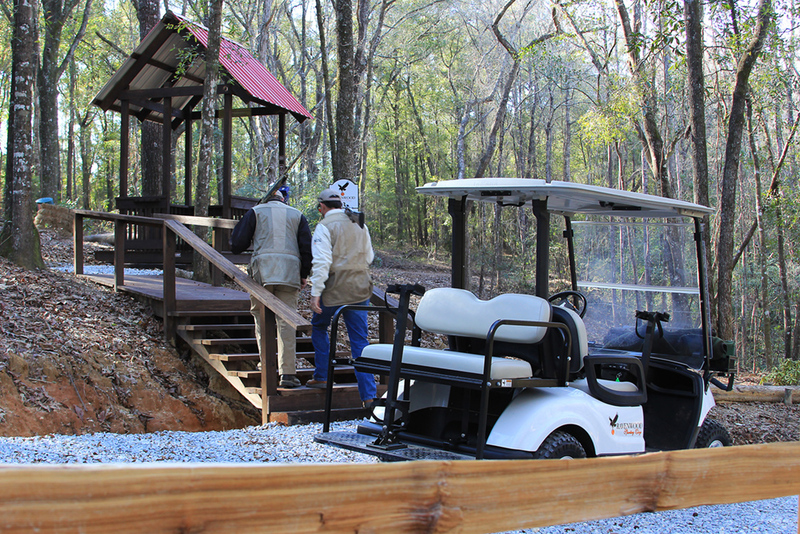 Each of our shooting stations use the natural landscaping to present shooters with a unique sporting clay challenge. At the clubhouse, shooters are given a small digital key card that activates the traps at each station. Participants may choose to preload their cards at the clubhouse with as many targets as they choose, or they may choose to use a "count-up" card and pay only for the targets they use at the end of the day. 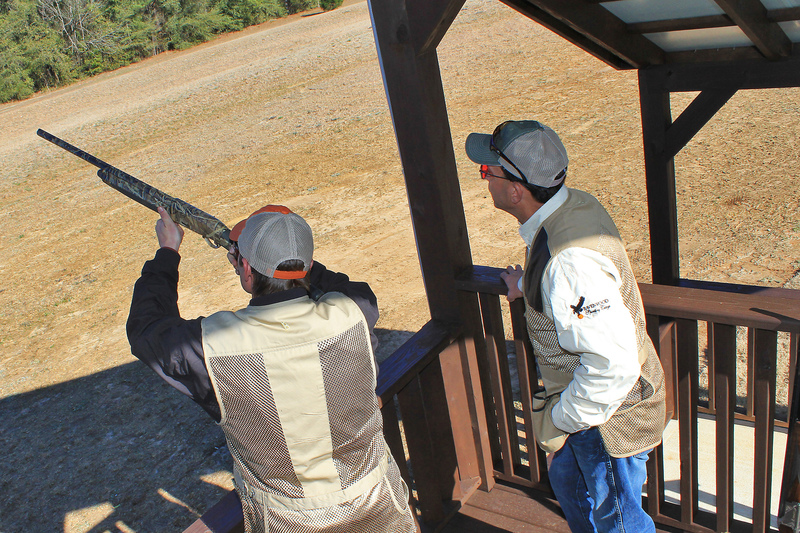 A standard round on the sporting clays course consists of 100 scored clays (with an additional 28 viewing clays at no charge).